Having full medical cover in South Africa can be a rather expensive business. There are no truly low premiums for medical aid. It is for this reason that so many South Africans are left without medical cover when they need it the most. It is for this reason that Medshield aims to offer affordable medical solutions for all South Africans. Whatever your budget, you should be able to find a plan to match. In this post, we will go over what they offer briefly so that you can find out more about this innovative company. This is the premier option and covers both corporate individuals and families. You get complete cover for day-to-day expenses and in-hospital expenses. You are covered for at least 100% of the tariff rate. In some cases, for hospital expenses this is extended to 200%. You get a personal savings account from which to pay for your day-to-day medical needs. Any portion pf your personal savings account that is unused at the end of the year is available for use in the next year. 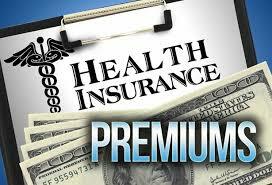 Maybe your budget does not quite stretch to comprehensive medical cover. The Medi Core option allows you to save through just providing cover in hospital if there is a medical emergency. You are responsible for your own day-to-day expenses. This plan offers a growing family the ideal balance between cover and managing your medical budget. The cover includes in-hospital benefits and the option to add a personal savings account. You are also able to benefit from the maternity package that covers out of hospital expenses as well. MediBonus cover that is excellent for individuals and is also part of the premier range. You are fully covered for hospital expenses if you use the Medshield Network, with up to 200% of medical tariffs being paid for certain procedures. You also receive day-to-day cover for doctor’s visits, dentistry, radiology, etc. If you have just started working, and are reasonably healthy, you do not want to have to pay expensive premiums for cover you won’t use. This option includes full hospital cover within the Medshield Network and some day-to-day cover as well. This is the option if you are earning a good salary. You get unlimited cover for hospital visits within the Medshield Network and day-to-day cover for a range of different medical bills as well. This is a good plan if you are on a fixed budget. You and any dependents that you nominate enjoy unlimited hospital cover for conditions that fall under the prescribed medical benefits list. You also receive some cover in-hospital for some conditions not on this list. Some day-to-day cover is also provided. Medshield offers extensive and affordable cover throughout its partner network. You are also able to receive cover on some plans outside of this network, but that is limited to medical aid tariffs. In addition, Medshield offers value-added services such as Medshield Wellness which includes access to telephonic medical advice. The Medshield Mom benefit ensures that you get a free hamper when your baby is born. Medshield is a trusted name in the South African medical insurance industry. It offers cover when you need it most, at affordable rates. Next: compare quotes now by completing and submitting the form on this page. We will supply a personalised health insurance quote – free of charge! ← Does Discovery Medical Aid Cover Medication?